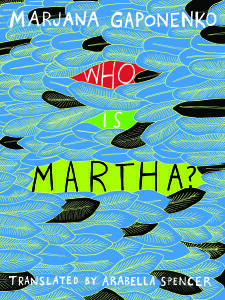 Nina Sparling, editorial intern at New Vessel Press, recently asked Marjana Gaponenko, the author of Who Is Martha? 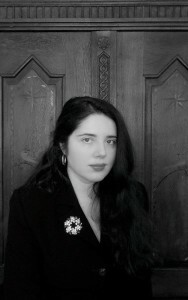 (translated by Arabella Spencer), a few questions about her majestic novel. Der Spiegel calls the novel “a celebration of creation and all its wonders, full of the joy of life.” Here’s what Gaponenko had to say. NVP: There is something fantastical about this novel, but it remains so grounded in reality: the realities of history, the realities of the aging body. How did you find a balance between Levadski’s playfulness and the gravity of both his past and his present? MG: This question raises a further question: about the tradition I see my writing belonging to. The discomfort with reality, the uniformity of the industrialized world, being drawn to mystery, playfulness – these are all attributes of romanticism; in particular, the German romanticism which can be seen as an answer to the French revolution and the “spirit of geometry”. There was no return to ornate baroque and the straight line of classicism generated the feeling of crampedness. That’s a description of my feelings in 2014. I am looking for my own romanticism and find it in the midst of reality, in irony. NVP: What drove you to explore questions of death, aging, family and friendship through the eyes of an ornithologist? What kinds of research went into writing this novel? Did you know anything about birds before you started writing? MG: I have long sought a suitable career for my lonely Levadski, something poetic, it should be something light, uplifting. Thus the birds came in handy – which raise him above his misery. And yes, I have learned a lot for the book, reading and analyzing different books on birds, observing them, I spent a lot of time in nature. I am now so fond of birds that I cannot help but to observe them and study their behavior. It has become a love for life. NVP: The last few chapters of the novel strike a beautiful counterpoint between the disintegration of body and mind and the blossoming Levadski’s friendship with Habib, a human connection the reader doubts Levadski has ever known before. What does the friendship they form teach Levadski? MG: This connection gives him the feeling at the end of his life, that his little modest and reclusive live was beautifully and worth living – just in the moment when he doubts this. He had no family and no grand circle of friends – but that was his way. Habib’s sympathetic silence in Levadskis suite allows him to taste a joyful, socially fulfilling life in a short time. Although the proximity of the butler is bought, it is a voluntary gift of youth to the old, of a stranger to another stranger, of a Palestinian to a Jew. NVP: Throughout the novel, Levadski’s mother hovers in the background. Both have suffered tragedy, and suffered it together. Does he return to Vienna to find something of her before motherhood? MG: I imagine that one wants to return at the end of one’s life to the old sources to lighten up again the old good times and to close life’s circle. One can do this mentally but also physically. Levadski returns because of sweetness. Because sweet was the taste of the Imperial pie of his childhood. Now he is back in the old hotel and eats the pie for two, for himself and for his mother who had experienced many hardships. NVP: The question, “Who is Martha?” persists throughout the book. We only hear about her twice – at Levadski’s birth and death. Why Martha? What is the significance of this? Julita Mirkowicz translated various works of American literature into Polish, including Being There by Jerzy Kosinski and several novels by Paul Auster. She is also the wife of the late Tomasz Mirkowicz, who translated two books by the Polish writer Marek Hlasko. Killing the Second Dog was published by New Vessel Press in March 2014. In December 2014, New Vessel Press will be publishing another of Hlasko’s novels, All Backs Were Turned. Born in Warsaw in 1953, Mirkowicz translated into Polish the works of Ken Kesey, George Orwell, Jerzy Kosinski, Harry Matthews, Robert Coover, Alan Sillitoe and Charles Bukowski, among others. 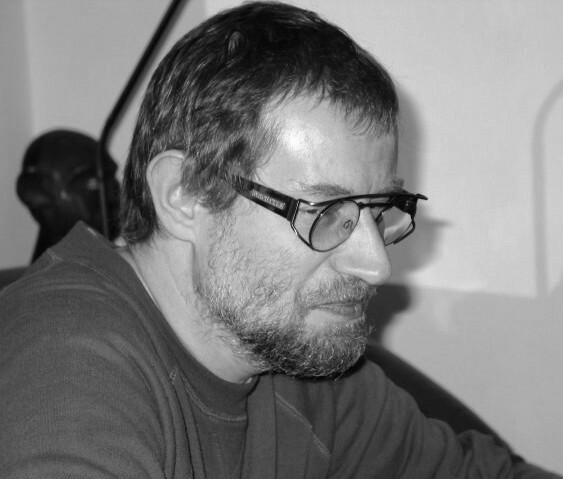 He was also a fiction writer and critic, and the recipient of the Literatura Na Świecie Award for Best Prose Translation of 1987; the Polish Translators’ Association Award for Best Prose Translation of 1988 and the FA-ART Short Story Contest Winner (1994). 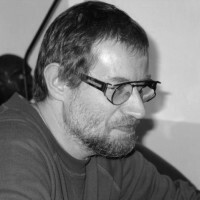 Tomasz Mirkowicz died of cancer in 2003. How did Tomasz learn English? Tomek’s father worked in the Ministry of Commerce. In the 1960s he was sent to Egypt as a trade representative. The whole family—father, mother & Tomasz—spent 4 years in Cairo. Tomasz attended the Cairo American College, which was actually a grammar school. In 1967 or ’68 they returned to Poland. Tomasz went to a high school where knowledge of English was obligatory (some of the classes were held in English). After high school he studied for one semester at Politechnika Warszawska, The Warsaw University of Technology, in the Department of Power and Aeronautical Engineering, but he decided that instead of learning how to build planes he preferred reading books. So in 1972 he passed his exams and became a student at the English Institute at Warsaw University. In 1977, he wrote his M.A. thesis on the fiction of Robert Coover. In 1980 he began his PhD studies, then took a break. Tomek resumed his PhD studies one year before his death and almost completed his thesis on the novels of Harry Mathews. How did he first get into translation? As a student Tomasz took part in a competition organized by the Polish Writers Union and a popular literary monthly Literatura na Świecie – Literature in the World. A select group of beginning translators from different languages, with about 15 people working in English, were then taught the art of translation by older translators. These “lessons” lasted for about half a year and later they were continued by a well-known translator who took a group of us under her care. We met with her once a week for about 4 hours, for 3-4 years. Tomasz translated some great American authors. Did he always choose writers who were close to his heart, or was his choice of translations more a result of what the publishing houses were interested in? Both. Beginners can’t be picky. But Tomek always knew what he wanted to translate. At that time there were just a few publishing houses in Poland that published translations, and about 10 books from the English language appeared from each. However, Polish money could not be converted into foreign currency, so there was no way to pay the authors. The only way was for the author to come to Poland and spend his zlotys here. Many did come, encouraged by Tomek, who made friends easily. He organized many of their trips. I forgot to mention that we went to the States a few times – in 1981 and 1986. Both of us had USIA grants and we travelled all over the US. And in 1991 Tomek received a one-year scholarship from the Kosciuszko Foundation. Many brilliant American writers and poets were our friends. When did he dare (because it is quite a daring thing) to translate for the first time into English, as opposed to into Polish? Steve Schrader, the first publisher of Hlasko and owner of the now defunct Cane Hill Press, came to Poland with his elderly, but extremely vivacious father. If I remember correctly, his father wanted to find his Polish roots. I’m not sure who gave Steve our phone number. But Steve called Tomek, they met and of course instantly became friends. Tomek never before thought of translating anything into English. But Steve started asking questions about Polish writers (“Who would you, Tomek, translate?”) and eventually asked him to do one of Hlasko’s novels. It was a gentleman’s agreement, just a handshake, no contracts. Steve said he’d pay Tomek and either publish Hlasko or not, depending on whether he liked the book. He did, and he published it. And then he asked for another novel by Hlasko. Tomek also translated a third book for Steve, Robot, by the science fiction writer Adam Wiśniewski-Snerg, which however never appeared in English. I’m not sure whether Steve didn’t like it or if by that time he had already decided to close his publishing business. What was Tomasz like as a person, and do you see that come through in his work? Tomek was considered one the best translators of English & American literature into Polish. He was incredibly intelligent, had vast knowledge in different fields, was extremely well read and loved reading. At the same time he was funny, sometimes shy, sometimes (but only sometimes!) humble. He was also very outgoing. He loved meeting new people and seeing friends. He helped many younger translators—he checked their work, made suggestions and corrections, etc.—and he loved cats. He loved to travel. He loved Egypt, and Africa (we visited Ghana, Togo, The Gambia). He loved literature, art (he used to paint and sculpt). He was not too interested in sports, and not too interested in music. I don’t think his personality traits are visible in his translations, but they are visible in the books that he wrote – especially his incredible imagination and knowledge. What was his process like? He was a night person. He slept late and worked mostly in the evenings and at night. And usually he’d wait until the deadline was close – then he’d gather speed and energy. Was he always a translator? Yes, he started translating as a student and just kept going. He stopped about 5-7 years before his death and started writing his own stuff. About two years before he died, Tomek was asked to teach American literature classes at the English Institute, which he did with a passion up until December 2002. Finally, what about your life as a translator? How did you begin translating? As a child I spent four and a half years in Canada, then four and a half years in India as a teenager. I finished high school in New Delhi and completed one year of college there. Then I studied English and American Literature at the English Institute at Warsaw University. That’s where Tomasz and I met. I started translating as a student for Literatura Na Świecie and just kept going. I don’t know why I started. Maybe because at first it was a challenge. Later it became a passion. Who were some of “your” authors? I translated, among others, John Gardner (The King’s Indian); Peter de Vries (Glory of the Humming Bird); William Gaddis (Carpenter’s Gothic); D.H. Lawrence; James Dickey (Deliverance); Dashiell Hammett; Donna Leon; Winston Groom (Forrest Gump & Gump and Company); Ken Kesey (The Last Go Round); Toni Morrison (Jazz). Favorites: Probably Gaddis, Kesey, Kosinski – because they were friends of ours. Least favorite: An old science fiction novel by Henry Kuttner called Time Trap.